Melia Robinson/Business InsiderThe Microsoft Surface Pro 4. Apple’s Phil Schiller revealed to TechCrunch in a report published on Tuesday that the Mac’s user base is nearing 100 million users. To compare, there were 400 million computers running Windows 10 as of September 2016, according to ZDNet, and that figure is likely to be higher today. It’s worth noting that Schiller’s figure encompasses all Mac computers, some of which could be running older versions of Apple’s macOS (or OS X, as Apple named its older operating systems) while Microsoft’s figure is specific to Windows 10. There are likely several more computers running older versions of Windows, like Window 7, 8, Vista, and even XP, which could significantly boost the overall Windows user base figure. Schiller also revealed that 80% of its Mac shipments are laptops, like the MacBook, MacBook Air, and MacBook Pro, while 20% are desktops, including the iMac and Mac Pro. He also mentioned that Apple’s MacBook Pro sales have grown 20% year-over-year in the fiscal Q1. Apple’s Mac computer business is clearly doing well, as it near a $US25 billion run rate, Schiller told TechCrunch. That number brings Apple’s Mac business on its own closer to a Fortune 100 status. 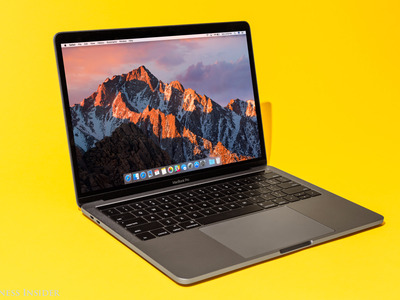 Hollis Johnson/Business InsiderApple’s latest 2016 MacBook Pro. Still, Microsoft’s Windows business is growing, too, especially in the high-end market. 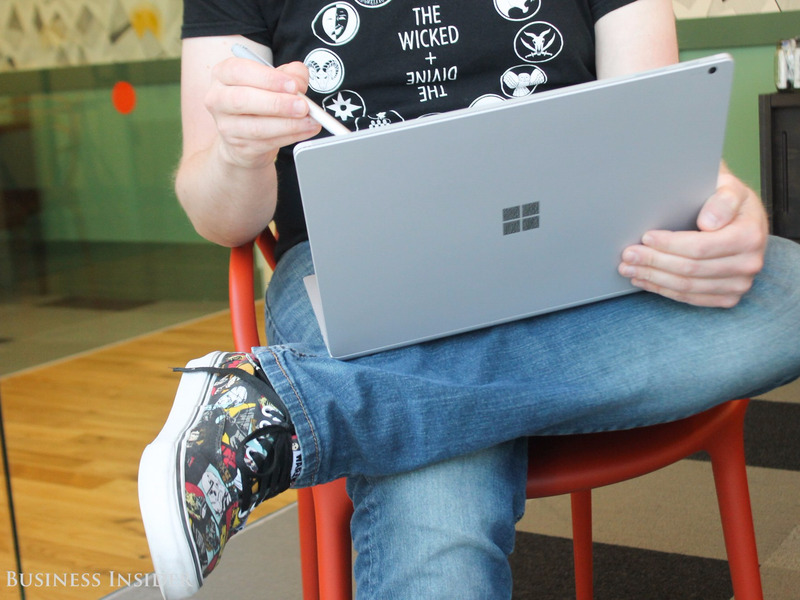 More consumers are enticed by Microsoft’s high-end Surface laptop/tablet lineup, which lines up with the growing market for laptop/tablet hybrids. Apple’s doesn’t offer a laptop/tablet hybrid that runs a full desktop operating system. Microsoft now also sells a high-end desktop computer, the Surface Studio, which our own Matt Weinberger said is leagues better than any Mac he’s tried. And other high-end applications that demand premium $US900-plus computers, like virtual reality, are also steering users from Mac to Windows, albeit slowly. Add the tepid reception of Apple’s latest lineup of 2016 MacBook Pro laptops to the mix, and it’s clear that Apple still has its work cut out for it to match Microsoft’s Windows. Apple told reporters on Tuesday that it will be releasing new models to its professional desktop lineup, including new iMacs and Mac Pros, in 2017 and 2018. Yet, considering that the majority of Apple’s computer sales are in laptops, the impact of the refreshed Apple desktops may not dramatically increase the Mac’s use base.